Choosing the perfect BC golf package is easy with Golf Vancouver Island’s “one-stop shop”. Let us take care of your BC golf vacation details such as flights, rental car and ferry reservations to tee times, accommodations and even après golf activities. Golf Vancouver Island is an organization of leading BC golf courses that have partnered to offer our guests an easy way to plan and book your golf trip to Vancouver Island. We offer dozens of golf package samples to choose from. Check out the highlights of our most popular golf packages or call us to customize your own Vancouver Island golf package 1.888.465.3239. British Columbia is a diverse province with hundreds of golf courses to choose from. Fortunately, Golf Vancouver Island features 13 of the premiere golf courses on one convenient golf trail, the Vancouver Island Golf Trail. Discover our variety of golf packages. We’ve organized them by region as well as by type of trip. 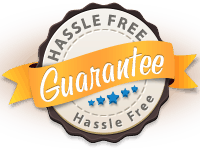 Read our HASSLE-FREE GUARANTEE and see how we take care of it all! Convenience, savings and the assurance that you are getting the best in golf and accommodation, that’s what you get when you book one of our packages. Our expert staff work diligently to bring you the best that Vancouver Island has to offer at incredible prices. Click on the Vancouver Island golf packages to get the complete details and pricing. Examine our regional escapes to find the best in short stay getaways or for longer trips, click on the Vancouver Island Golf Trail to discover all that Vancouver Island Golf has to offer. This year take the golf vacation you deserve. Take a package holiday with BC’s Golf Vancouver Island! Personalized, quick response, good customer service and reasonable price. Overall experience was great.